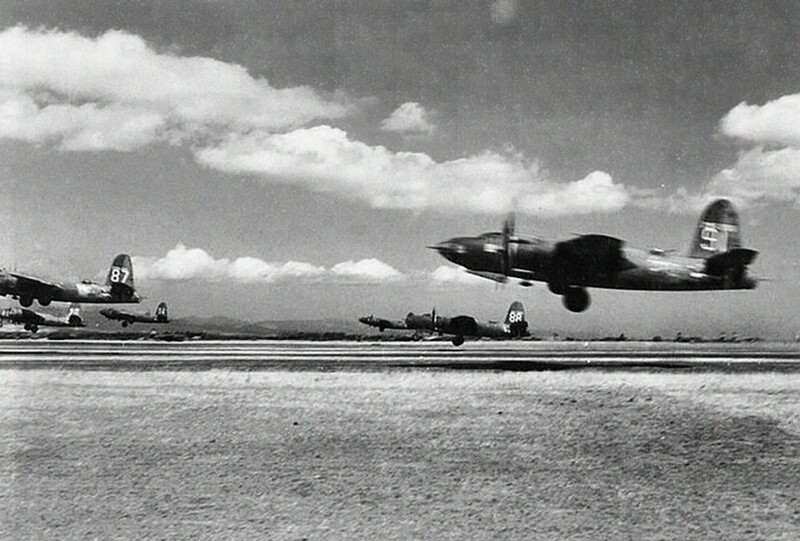 Decimomannu Air Base in Sardinia was the temporary home of the longest serving group in the Mediterranean theatre, the 319th Medium Bomb Group of the 12th Air Force. Flying Martin B-26 Marauders, the 319th had been bombing communications links, gun positions, and key bridges supplying the German Army in Italy and France. The invasion of Southern France (Operation Dragoon — the so-called, “Second D-Day”) was set for August 15, 1944, and the 319th would be in the thick of it. 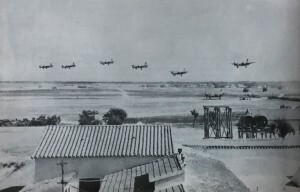 The six-ship takeoff was detailed a month later in the USAAF publication, IMPACT, a classified magazine for military distribution (at the time marked CONFIDENTIAL and long since declassified). 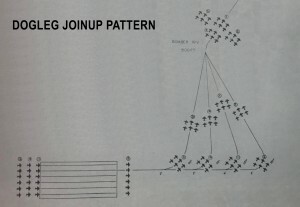 The report included photos of the 319th’s base at Decimomannu and diagrams showing how the group, using their then-secret method, could field an entire squadron of 24 bombers in the time it took other bomb groups to launch just eight aircraft. The report highlighted that the 319th’s method shaved up to 25 minutes from the time it took to launch and assemble formations for each mission — critical minutes of extra fuel and bomb-carrying capacity that the practice afforded. 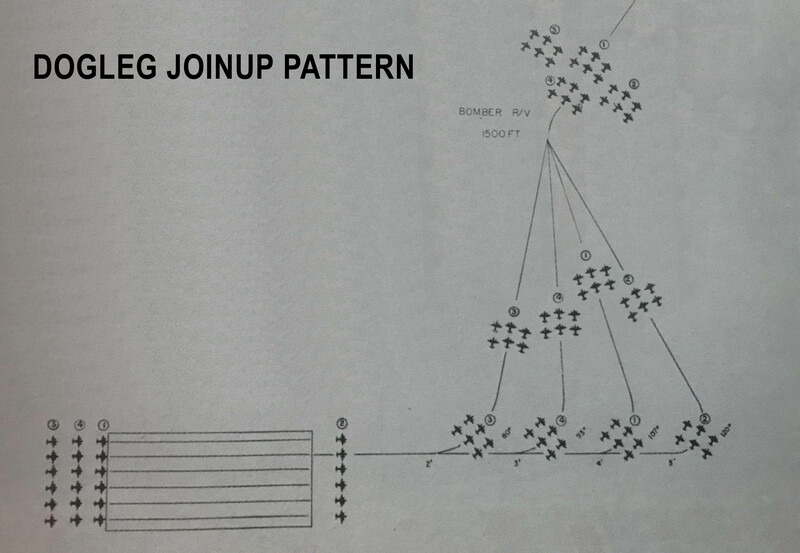 By August 1944, the 319th had performed four months of six-ship takeoffs flawlessly — described in IMPACT as “more than 100 missions without mishap”. Another key innovation were the methods of joining up into a combat formation after takeoff. This entailed some thoughtful planning and practice. 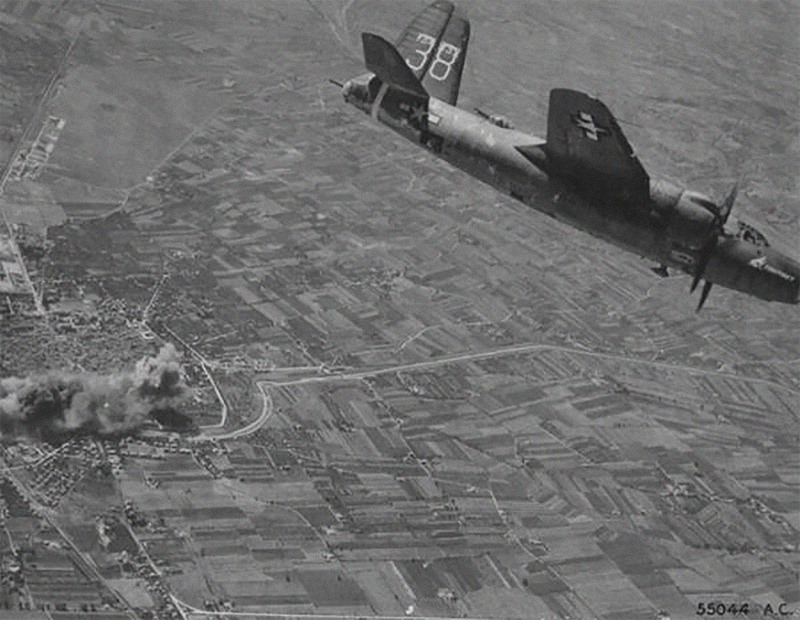 Once formed up, the Bomb Group could proceed directly toward the target. 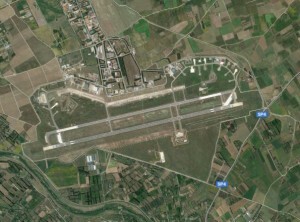 The runways at Decimomannu Air Base were specially-prepared for the six-ship takeoff. Six parallel runways featured oil poured over the hard-packed dirt and sand of Sardinia. This helped reduce dust from prop blast and ensure that the tires didn’t cut deep ruts when moving at high speed. After pioneering the six-ship takeoff, it seemed natural for the 319th to employ a six-ship line abreast landing as well. Like the takeoff, landing the entire bomb group six-abreast saved a lot of time, allowing the Bomb Group to conserve precious fuel and reduce the time it took to bring everyone in after a mission. The stage was set for the launch of both bomb groups. After four months of “mishap free” takeoffs, attempting the six-ship take off at night proved more challenging in practice, however, with a full load of bombs, ammunition, and fuel. The invasion fleet off the coast of France’s Cote Azur during Operation Dragoon. The day’s entry ended on a positive note, stating first — “Colonel Holzapple expressed himself as very pleased with the job.” And then, a fitting end of the day, the 319th’s log states, “Not a single airplane was lost by the 319th during the day.” Of course, the 320th, flying from the same base, had suffered terrible losses just in the takeoff. 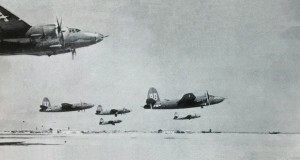 Though the six-ship takeoff and landing served the 319th and 320th Medium Bomb Groups well throughout the late period of the war, the practice was not adopted other groups. In many cases, single plane-width runways were all that were available — as was the standard for all of the Stations in England, for instance. In other cases, the knowledge of the methods used was ignored or unavailable to those who might have benefited from the practice. After the end of World War II, the USAAF (and subsequently USAF) did not continue to use the 319th’s six-ship takeoff method, despite its obvious benefits. Decimomannu Air Base, where the 319th Medium Bomb Group was based at the time, remains a military airfield to this day. Gone are the six parallel strips of oil-soaked dirt. 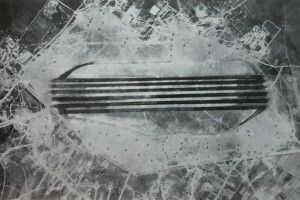 Today, the field has but two parallel runways. Of course, these days, it is rare to see raids at the scale that were regularly practiced during World War II. Hopefully, the world will never see another “thousand bomber raid”, and even the 319th’s raids, with 20 to 76 aircraft in formation at once, are rare. There seems little need to launch six planes at a time and, even if they were launched, modern warplanes usually form up for the attack only after a round of aerial refueling. The bottleneck, it seems, has more to do with the limitations of tankers than multiple runways.